"Casa Strecce - App. 2", 4-room apartment on 2 levels, on the upper ground floor. 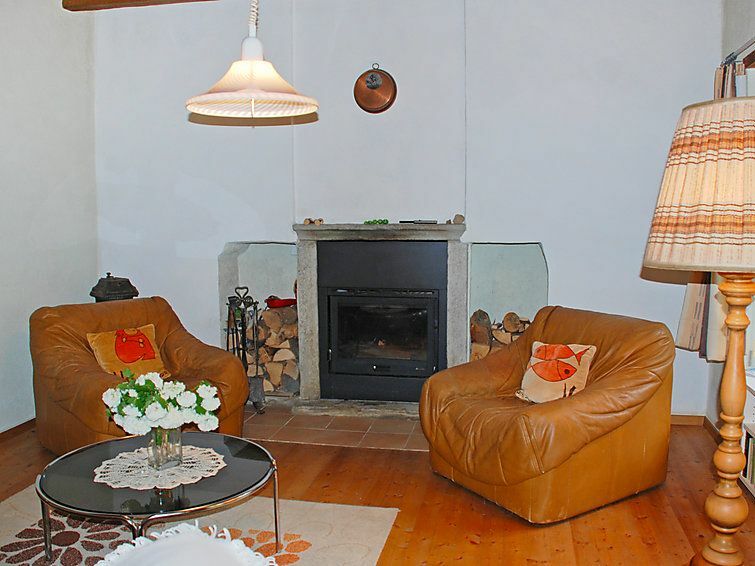 Practical and cosy furnishings: living room with open-hearth fireplace, satellite TV and flat screen. Large kitchen-/living room (oven, 4 ceramic glass hob hotplates, electric coffee machine) with open-hearth fireplace. Exit to the terrace. Sep. WC. Electric heating. Upper floor: 1 double bedroom with 1 french bed (1 x 160 cm, length 200 cm). Exit to the balcony. 1 room with 1 double bed (2 x 90 cm, length 200 cm). 1 room, window onto the courtyard with 1 bed (90 cm, length 200 cm). Shower/bidet/WC. Wooden floors. Balcony, terrace. Terrace furniture, deck chairs (2). Partial view of the mountains. Facilities: washing machine, dryer. Please note: non-smokers only.